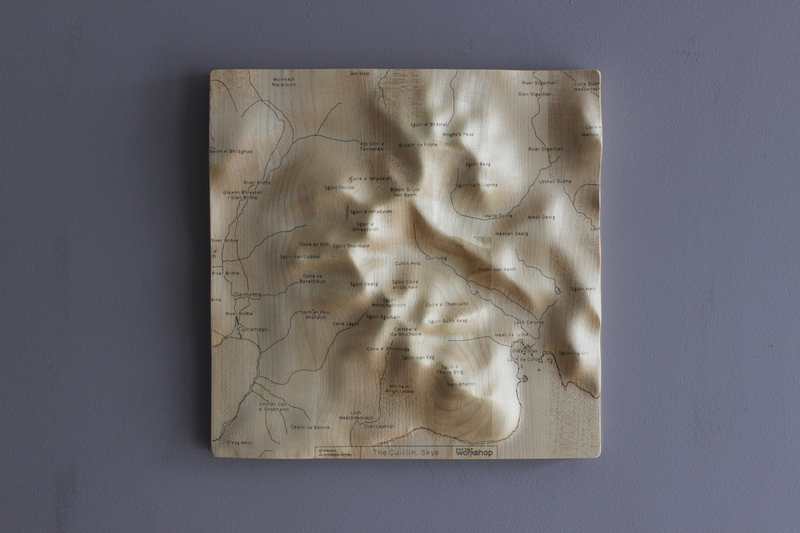 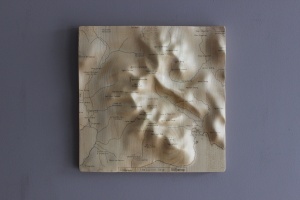 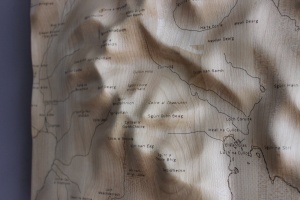 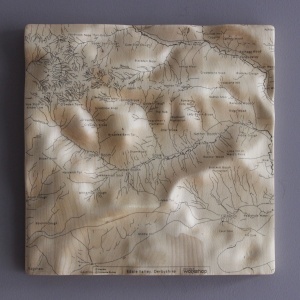 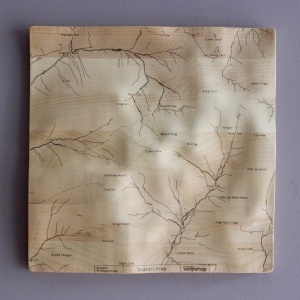 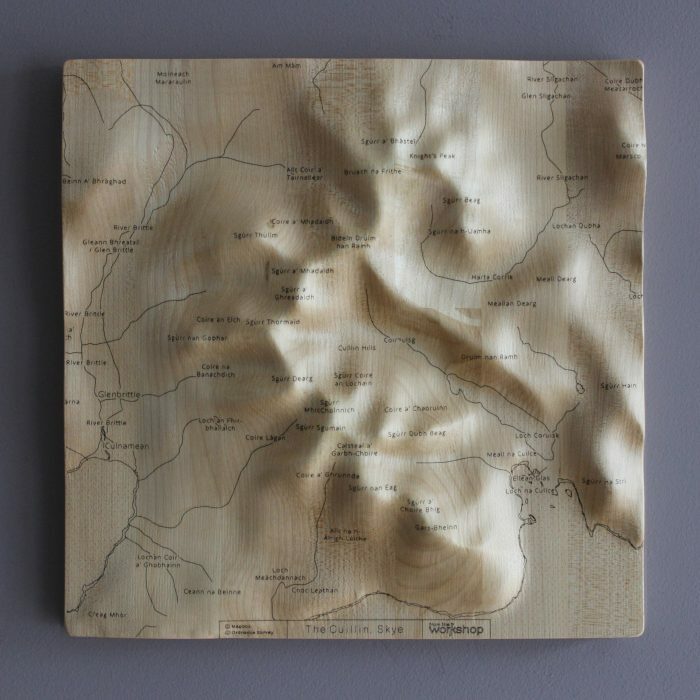 The Cuillin Wall Map is carved from solid maple and engraved with a sharp, clean map design. 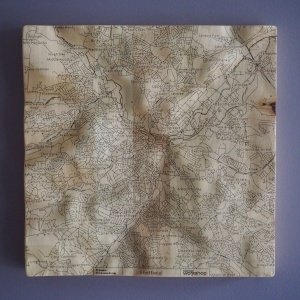 It is 30cm square and can be easily hung on the wall. 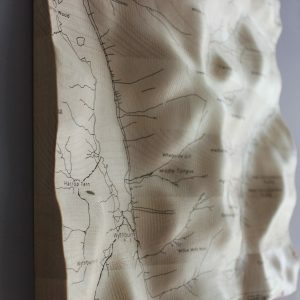 The Cuillin (Scottish Gaelic: An Cuilthionn or An Cuiltheann) is a range of rocky mountains located on the Isle of Skye in Scotland. The main Cuillin ridge is also known as the Black Cuillin to distinguish it from the Red Cuillin (na Beanntan Dearga, known locally as Red Hills), which lie to the east of Glen Sligachan. 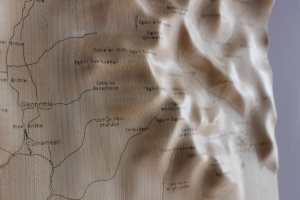 The ridge is about 14 km long (measured from Gars-behinn in the south to Sgùrr nan Gillean in the northeast), and curves in an irregular semi-circle around Loch Coruisk, which lies at the heart of the range. 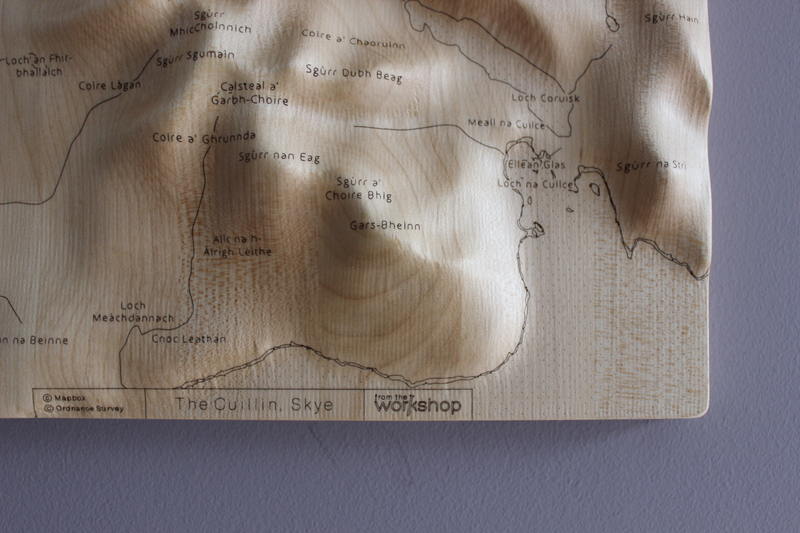 The highest point of the Cuillin, and of the Isle of Skye, is Sgùrr Alasdair in the Black Cuillin at 992 m (3,255 ft).